Esoropia and sharp eyes have been improved through magic epicantho plasty. 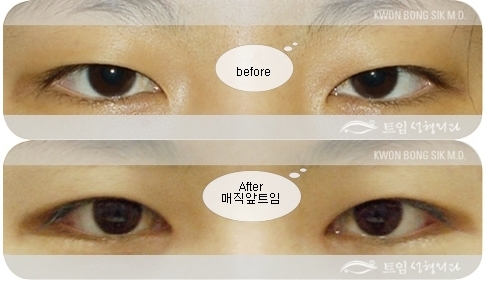 Above pictures show before and after magic epicanthoplasty and double eyelid surgery. Wide interorbital distance has been improved and now her eyes deliever more vivid impression than before surgery. Mongolian fold has been removed andr inner corner is revealed so esotropia has been improved.